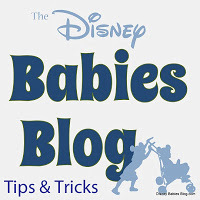 Disney Babies Blog: Important Steps to Plan Your Vacation! Going on a Walt Disney World can be overwhelming. From where to stay, how to get around, and where to eat, there is a lot of planning to do! When you book with WDW Guru Travel, you receive free itinerary planning!! Schedule Your Trip. Unsure how to choose? Check out Touring Plans. Touring Plans crowd calenders are an amazing all-encompassing guide to crowd levels! Avoiding crowds may help you do and see more in less time, however, if you visit in the very off season, you may see more limited hours than you would in the more crowded and hotter days of the summer. Pick the right weeks - you may not realize when Memorial Day is or when Spring Break starts, but the crowds don't! The crowd levels jump on 3 day weekends or whenever school may be out! If you're not paying attention (it has happened to me!) you may end up in Hollywood Studios mid-day during Star Wars Weekends. Don't expect to have much walking/breathing room! Want to see Christmas Lights but not hit the crowds? Head to the parks in early December! The lights go up in November! Visiting the Magic Kingdom first may seem essential, but it also may make some of the other parks seem less exciting. We usually start somewhere else and hop over or go in the 2nd day! Not sure what you want for dinner tonight? That's my life. But, at Walt Disney World, it's important to plan ahead - restaurants book up quickly and you may be left without somewhere to go! Character meals and the big restaurants fill up often 180 days (often the same day reservations open up) out. Plan where you want to eat so you can make your reservations 180 days out! If you're using a Table Service Dining Plan, scheduling ADR's is imperative or you may be left with extra table service credits - talk about a waste of money! Each park has their "hot" spots. Use the early time to hit the rides that will be crowded later on! Animal Kingdom - it's all about the Safari. Head there before the crowds arrive! Planning ahead can save you time and money! Make the most out of your vacation and make a schedule! Thanks Beth! I like deciding on my ADR's more than making them! Great tips! It's always much more fun to be organized and know what you are going to be doing before making ADRs. Now if I could only convince my husband of that, lol! Funny - my husband has almost 0 input! I ask his opinion, but he generally lets me do whatever I feel like! It’s funny trying to convince friends and non Disney people that 180 days isn’t really a lot of time to plan! They rarely believe me.